First one for 2019. 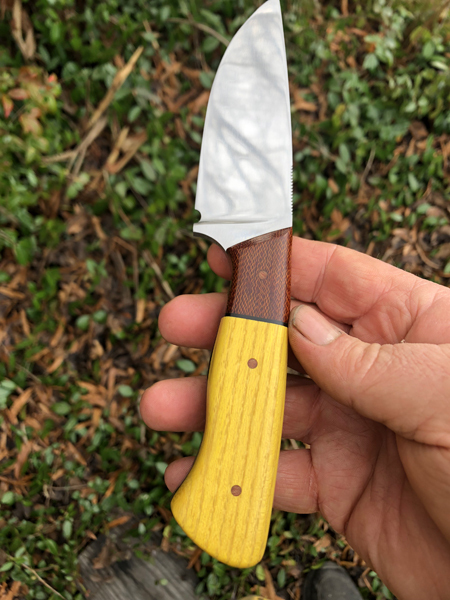 1084 with crosscut micarta and Osage Orange. Black liner and spacers. Natural micarta pins. I'll try to get some better pictures when we get a little sun. It's been raining here for about three days now. That's a dandy, great contrast of handle materials!